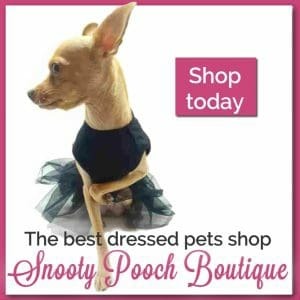 If your Chihuahua is anything like most toy dogs, she or he probably thinks of themselves as your furry baby on four legs; and of course they are! It’s no secret that our little dogs tend to be extremely attached to their family members, and often get upset when an interloper comes between them and the people that they adore. Unfortunately, this tendency towards clinginess can be a problem when a new two-legged member of the family arrives: a baby. In fact, many dogs can have trouble adjusting to the sights, sounds and smells of an infant, not to mention the decrease in time spent with their owners, and some dogs respond with ‘bad’ behaviors like chewing, barking for attention, and peeing in the house out of sheer frustration, loneliness or boredom. 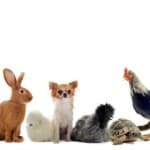 On the other paw, though, with some extra time and preparation before the baby arrives, and some special considerations for your furry child once the baby comes home, many Chihuahuas learn to live in harmony with (and love) their new human siblings. Let’s go over some of the best ways to make the transition from an ‘only dog’ household easier for your much-loved furry family member. First, some of the most important ways to set your pup up for success are by thoroughly preparing them in advance for the many changes that will come with the new baby. New parents are often exhausted, struggling with a challenging routine and lack of sleep, and a dog’s needs can seem like the least important item on the ‘to-do’ list after endless diaper changes, feedings and loads of laundry. Here are some ways to help your dog get used to a new schedule and a changing household. Chis are inquisitive, and it’s only natural that they’ll want to investigate the baby’s room or play areas. 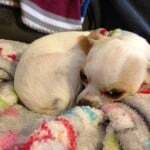 If you aren’t going to be letting your Chihuahua in to those places when baby comes home, then now is the time to start using gates or closing the door to the room for short periods at first, gradually restricting access for longer and longer over a month or two as your pup becomes accustomed to staying out. 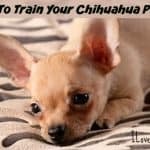 You can also consider setting up an exercise pen (x-pen) with fun toys, chews and treats for your Chihuahua in the main room of the house, so that they can have a safe and happy place of their own to go if you need to keep them away from baby for a while, especially to prevent injury as young babies start to crawl and grab with little hands. If your Chi has never been crated, set the x-pen up months in advance, feed them there and leave random tasty treats for them to find, and as they become comfortable going in and out, practice shutting the pen door for longer periods of time. Allow your petite pup to freely investigate any baby furniture or equipment you’re going to use, especially if they have moving parts or make noise (like a baby swing, for instance). If your dog seems nervous around them at first, use tasty treats to reward calm behavior like looking at or sniffing the item, which helps your Chi to positively associate baby ‘stuff’ with good things to come! Practice carrying around a doll for a few weeks before baby arrives. Many Chihuahuas may seek extra TLC when their owners have a baby in their arms, but the last thing you want is for your Chi to be jumping all over your newborn! With the doll in your arms or in a baby carrier, go through your normal daily routine. Ignore your Chi (or even get up and walk away) if they show attention seeking behavior like jumping on you, barking, or pawing, but make sure to keep their favorite tasty tidbits on hand and reward them for being well-behaved (for example, sitting quietly beside you or lying down at your feet) while you have the doll in your arms. 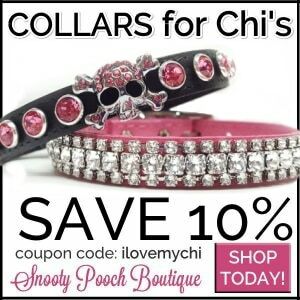 Your Chi will soon understand that good behavior means more attention from you! Some owners have found that their canine companions are much more relaxed about a new baby’s sounds if they’ve had a chance to hear them beforehand! Playing a CD of sounds made by babies and children while your pup eats can help them form a good association with these noises in the future. Try to set aside a certain amount of time when you’re likely going to be able to spend one-on-one with your pup, even if it’s for only 10-15 minutes each day. If your Chi knows that they’ll have a predictable time where they’ll get your undivided attention after your new baby gets here, they may be less likely to be super-clingy at other times of the day. Before your bundle of joy arrives, it’s a good idea to ask family and friends to help you out with walking and playing with your Chihuahua in the first several weeks – even consider setting up a voluntary schedule for them. Most people are eager to help out new parents anyways, and your Chi will appreciate the extra attention and exercise. You’ll feel much better knowing that they’re getting the love and care they need, too. There are other things that you can do to help your wee tail-wagger adjust after your baby arrives – here are some of them! Before you bring the baby home for the first time, send a piece of clothing or a receiving blanket home with the baby’s smell on it for your dog to check out. You can do this if your baby is born at home as well. 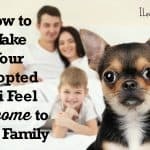 When you first arrive with your newborn, greet your Chihuahua without the baby in your arms, then have another adult available to occupy your pup while you settle in or deal with company. Watch your pup closely for signs of stress, anxiety or fear when the baby is around (like yawning, lip-licking, compulsive ‘kissing’, whining, or panting). If you notice any of these, remove your pup from the situation to give them a break before they react out of fear, pain or frustration, potentially hurting your child. 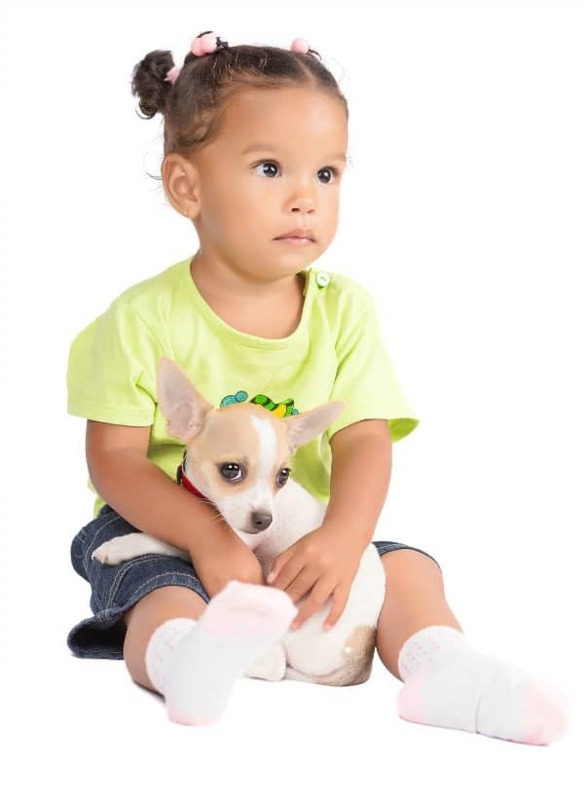 Don’t ever leave your furry friend alone with your baby – even the most tolerant pet can dislike small grabbing hands, or may become stressed by an infant’s unpredictable movements and cries. 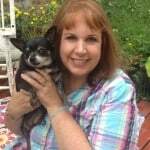 Remember that a Chi may have a bold persona, but they’re still a small dog that can be easily hurt, so don’t ever allow your baby to grab at, pull on, hit, bite or sit on your Chi. Respect should be mutual between both child and baby. 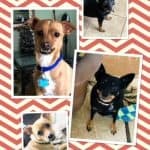 Despite the unpredictable nature of a new baby’s schedule and the drastic change in family dynamics , with careful teaching and preparation, many Chis go on to eventually become the best of friends with their new two-legged family members, providing opportunities for many fantastic memories in the future for your family! Have you had to introduce your dog to a new baby before? How did you handle it? Let us know in the comments what worked for you. If the baby and the dog won’t get along, you’ll be left with a huge problem, so it’s important to let them meet as soon as possible. Thanks for the article, keep up the awesome blog! I have a problem with my Chi she is 3. My daughter had a baby and she wants to nip at her so I have to put her in her kennel when she comes over. I was thinking of getting her a muzzle so she doesn’t have to be in the kennel. Do you think this is a good idea. Maybe she would get used to the baby with it on. I think a muzzle is worth a try Christine and she may get used to the baby eventually. He may be a tough nut to crack. He sounds like he thinks he’s protecting the baby and of course, barking is his way of communication. He may need a one on one trainer but you may want to check out some videos first.